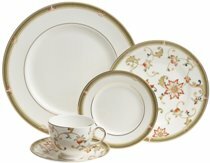 Fine china dinnerware sets make great gifts for newlyweds and for hosts and hostesses who have dinner parties. They are also ideal for serving dinner for special occasions or over the holidays. Browsing china dinnerware patterns from renowned dinnerware manufacturers is the first step to purchasing a set. This also provides the opportunity to purchase a small set and add to it over the years. Stable dinnerware brands are your best bet to make sure that the pattern is available in the future for adding or replacing pieces. I recommend buying china produced by one of the following manufacturers or brands. These brands are of high quality, their longevity in the dinnerware market is strong and their china patterns are popular, so if the pattern you choose is retired at some point, it will be more likely that you can find replacement pieces when you need them. Lenox has been in business since 1889. They specialize in producing tabletop products, giftware and collectibles. 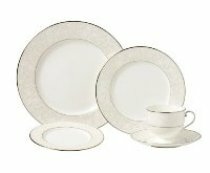 If you are grounded in purchasing American-made dinnerware, it is nice to know that this company is the only major producer of bone china in the country. They have even provided presidential bone china service to Presidents of the United States. Lenox also produces the Dansk brand of dinnerware. Mikasa has been around since 1948. It was originally founded as American Commercial Inc. which was a dinnerware importer based in California. The Mikasa brand name came about in 1957 and now the brand is part of Lifetime Brands. Mikasa is known to be a leader in tabletop fashion. Nikko was originally a Japan-based company. It was founded in 1908 as Japan Ironstone Inc. The Nikko name was introduced in 1950 and in 1968, a subsidiary of the company was founded in New York. 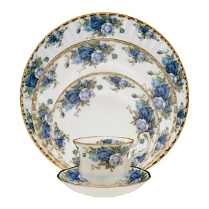 In 1978, the company began to produce bone china and now carries a full line of fine china. Noritake is a Japan-based company that has been in action since 1904. However, the company grew from a trading company that was established in New York in 1876 and originally imported china. 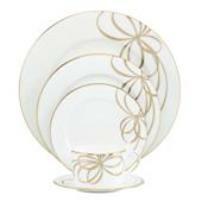 Now they are considered a leader in the dinnerware industry and their products are sold worldwide. Rosenthal is a German-based company that was established in 1879. They are a leader in German production of glass, porcelain and ceramics. 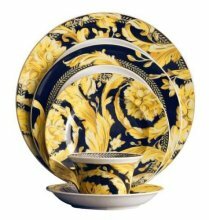 They also distribute the Versace brand of dinnerware which was originally designed by the late Italian fashion designer, Gianni Versace. The Royal Doulton Company began in 1853 and started producing dinnerware in 1871. Originally the company operated in England. In recent years, the brands of Royal Doulton of WWRD Holdings Limited which also owns the renowned glassware and dinnerware brands of Waterford, Wedgwood, Royal Albert, and Johnson Brothers. Spode was established in 1770. It is a England-based company. The founder of the company is credited for perfecting the formula for producing bone china as well as the process of transferware. The brand name is now owned by the Portmeirion Group, which still operates in England. 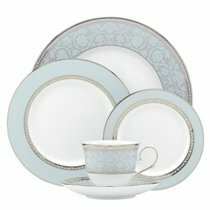 Wedgwood is another renowned producer of fine china dinnerware sets. The company was originally established in 1759 and is now a part of WWRD Holdings Limited. For centuries, this brand name is known for producing high-quality English dinnerware. 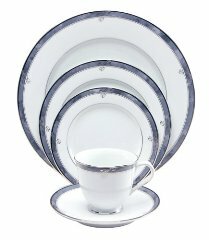 Of these dinnerware brands, personally I like the English dinnerware brands best, Royal Doulton and Wedgwood. 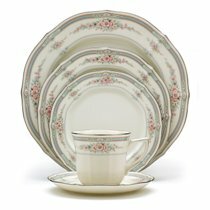 This may come from personal experience because my mother-in-law was from England and I started a set of Royal Doulton/Royal Albert dinnerware back in 1989 when I went with my husband to visit family near London. 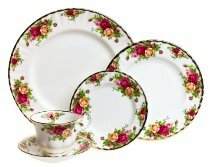 The dinnerware pattern we chose was the Royal Albert Moonlight Rose . The pattern is still in production and I have never had problems finding pieces for my set.